The ceramic doughnuts are both formed and painted by hand, thus each is completely unique. The playful floral pattern appears on both sides. 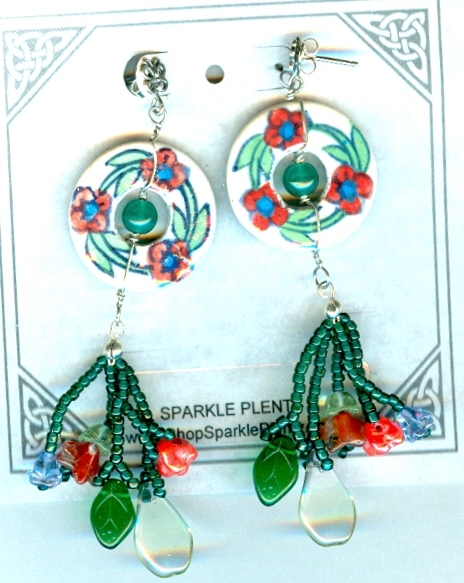 I've added a fringe of seed beads, leaves and flowers in hues to compliment the painted pattern. The finished product dangles about 3-3/8 inches from its sterling silver butterfly motif post finding to the tip of the longest dangle. Fun and funky, it's from SPARKLE PLENTY, of course.